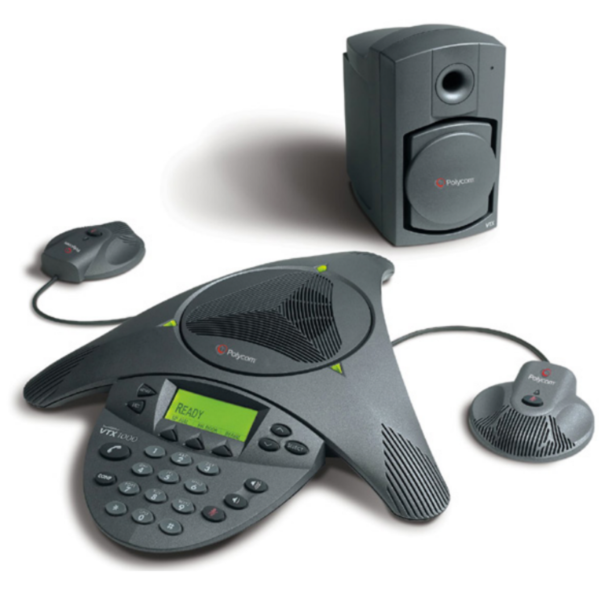 The Polycom Sound Station VTX 1000 with Acoustic Clarity Technology is truly a leap in voice conferencing technology. 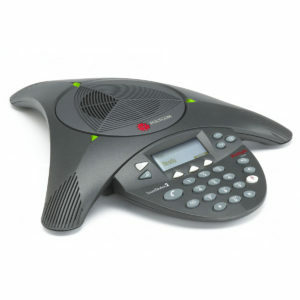 It s the world s first conference phone that automatically adapts to each meeting environment, providing high fidelity voice clarity for all participants. With the SoundStation VTX 1000, conference call participants can speak at a normal, natural conversation level and be heard clearly from two-feet to 20-feet away from the microphone even in large conference rooms. 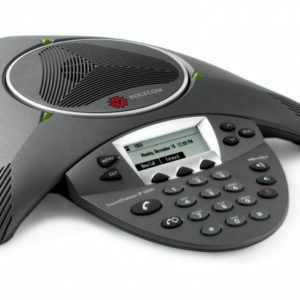 And, when two SoundStation VTX 1000 conference phones connect on a call, the phones automatically connect in VTX Wideband mode, resulting in extraordinary clarity. SoundStation VTX 1000 is the voice platform for the future. 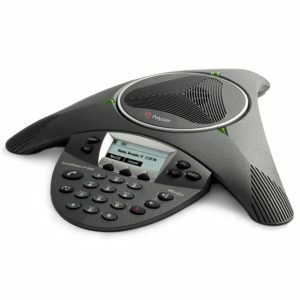 No wonder Polycom is the #1 choice in conference phones, worldwide. Allows simultaneous natural conversation – the industry s best full duplex. Speak naturally from two-feet to 20-feet and be heard clearly on the far end. 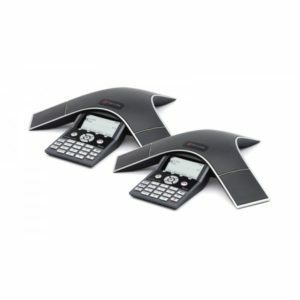 The world s first conference phone that allows you to download new software remotely through an ordinary telephone line to add new features and applications. Has independent input and output, bass/treble controls, and internal mic and speaker control for multiple uses and applications including external speakers.